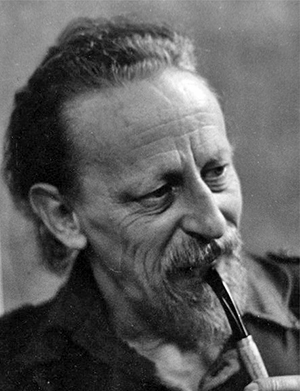 Theodore Sturgeon (born Edward Hamilton Waldo; February 26, 1918 - May 8, 1985) was an American science fiction and horror writer and critic. The Internet Speculative Fiction Database credits him with about 400 reviews and more than 200 stories. At the height of his popularity in the 1950s, he was the most anthologized English-language author alive and much respected by critics. Sturgeon wrote the screenplays for the Star Trek original series episodes "Shore Leave" (1966) and "Amok Time" (1967), the latter known for the introduction of pon farr, the Vulcan mating ritual, and the first use of the phrase "Live long and prosper." Sturgeon wrote several episodes of Star Trek that were never produced, one of which was notable for having first introduced the concept of the Prime Directive. An ethic isn't a fact you can look up. It's a way of thinking. Do you know what morals are? Morals are an obedience to rules that people laid down to help you live among them. Fear is a survival instinct; fear in its way is a comfort for it means that somewhere hope is alive. Logic and truth are two very different things, but they often look the same to the mind that's performing the logic. There are no synonyms. There are no two words that mean exactly the same thing. There's this about a farm: when the market's good there's money, and when it's bad there's food. We don't believe anything we don't want to believe.